Preparing for exams involving Biochemistry and Genetics can be tough as plethora of facts needs to be committed to memory. This is especially true when you are preparing for your USMLE Step 1 exam. Hopefully, the following visual mnemonic will help ease down your memorization process for remembering major Autosomal dominant diseases. 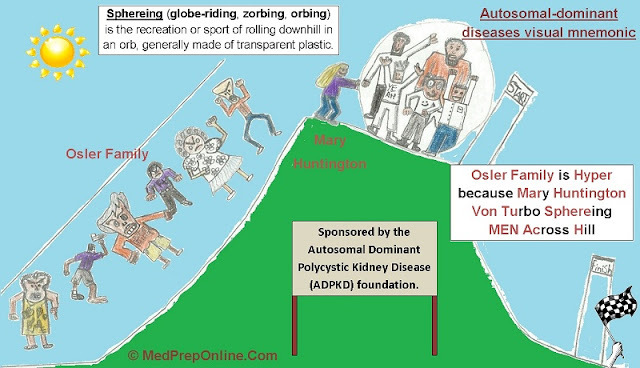 Osler Family is Hyper because Mary Huntington Von Turbo Sphereing MEN Across Hill. The picture shows a young Mary Huntington sphereing a globe full of MEN across a hill and she appears to be winning or probably have just won (Von), which makes the Osler Family very mad and hyper. Also note that the whole sphereing event is hosted by the ADPKD foundation. By the way, sphereing or zorbing is a recreational activity/sport of rolling a transparent plastic spherical orb with passenger(s) down the hill. I made this mnemonic myself to recall the autosomal diseases effectively and quickly. It works like a charm for me. Hope it helps you too. Many at times students come across questions in USMLE regarding baroreceptors, their location and their innervation. At times questions focus on the loss of innervation and its resultant effects on the body and its very critical to remember which baroreceptors are innervated by which nerves. Arterial baroreceptors are located in the aortic arch and the carotid sinuses of the right and left carotid arteries. 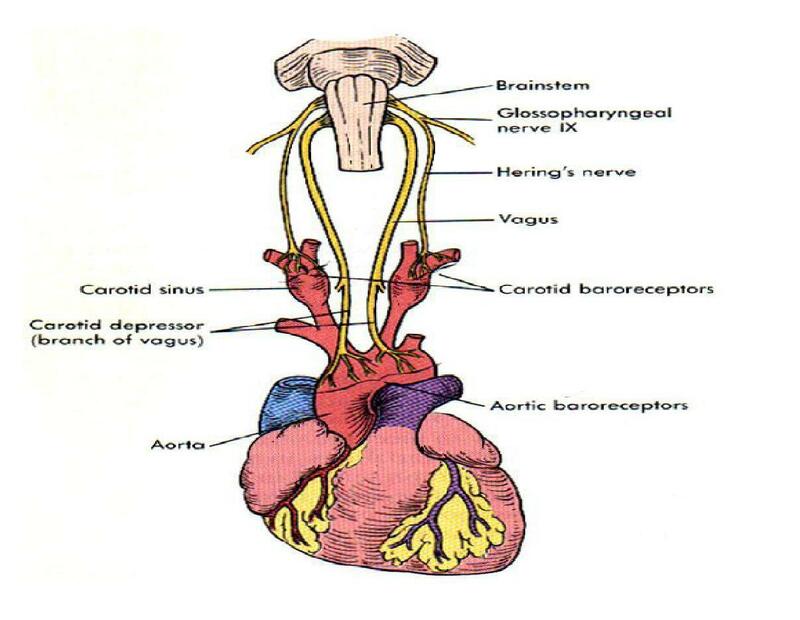 The baroreceptors found within the aortic arch monitor the pressure of blood delivered to the systemic circuit, and the baroreceptors within the carotid arteries monitor the pressure of the blood being delivered to the brain. Question: Which of the following drugs is useful in the treatment of angina pectoris? 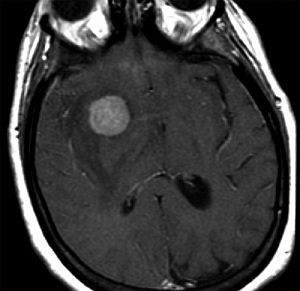 Question: A 36 year old male presented with seizures and motor deficits. 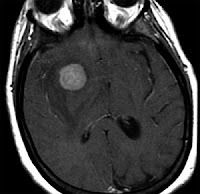 MRI scan of his brain revealed a homogeneously enhancing mass in the frontal lobe. Histological examination of the mass revealed it to be a B cell lymphoma. The most useful investigation in this patient would be to test for?